There are so many people that write to me stating that gold will not go very high, not even over the $1000 mark, because certain individuals and institutions do not want this and because it is not in their interest, they will take the gold price down. In addition to this there is so much talk about how the gold price is manipulated. So, I thought that it is time for me to at least say something about this issue. When I hear of this so called manipulation and how there are powerful people who will keep beating the gold price down, there are two things that stand out. One, is the fact that the focus on the manipulation issue is often about the hidden or unknown to many. Two, is how fear is very pervasive in this issue. The manipulation in gold and silver is not so much on COMEX, and all other gold and silver markets; it is much bigger than that. Also the gold price is not being taken down; it was taken down a long time ago, when we started using fiat money. Its true value was not taken down, it is still there but we need to realise the value by using it as money. The big manipulation story is quite simple in that gold and silver are not being used as money and has now been relegated to “just another investment” status, therefore not realising its full value to society. The key manipulators are governments and we the people who keep using the fiat money instead of real money. The bad thing about this is the fact that actually we the people can fight this manipulation by using (as money) gold and silver and by stop using fiat, but we are helpless or paralysed through fear and lack of knowledge. The starting point would certainly be to save our wealth in gold and silver. Fear contributes enormously to keeping this manipulation going. The fear factor is so pervasive and is also very evident in how people view the price of gold. So many people are quick to point out how some people with a lot of power will take the price of gold down. This is what in many cases keeps them from accumulating gold and silver. Fear keeps you in bonds, it prevents you from enjoying the benefits that real honest money brings. Fear prevents you from exercising your God given power. The price of gold will soar past the $1000 marks and marks much higher than that. There is nothing that those so called powerful people can do other than also ride the gold bull. Physical gold and silver is power to obtain what is considered value, whereas fiat money is a right to obtain what is considered value. There is a big difference: Power is an ability to act or do, and a right is a claim or a title. With a right your ability to act is dependent on whether you are allowed the power to act. The ability to obtain value for fiat money is dependent on the issuer of the fiat money. If it is electronic fiat, like money in the bank, then you can use your money provided the bank does not freeze your account. The bank therefore gives power to your right. There are many more ways in which to illustrate why fiat money is a right (a very shaky right) and not power. The fact is that power breeds confidence, whereas a right breeds fear (fear of the one who grants the right). Dependence on rights eventually lead to a welfare state, people who look to a government to provide for everything instead of using their own ability. The manipulation of gold and silver is not a secret, it is in the open. 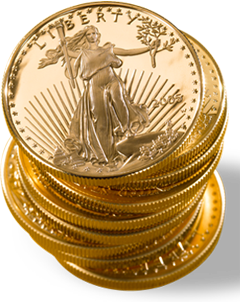 Everyone knows that we do not use gold and silver as money when it is by far the most superior form of money. The manipulation can be beaten, however, knowledge needs to be increased, and fear needs to be overcome. Accumulating gold and silver is the best way to fight this manipulation, since having gold and silver is power. The gold and silver price and the value of gold and silver should eventually tell the same story. Currently the gold and silver price is undervalued compared to their value, therefore gold and silver is a must buy. The price of fiat money is being managed and therefore affecting the paper price of gold, but even so, the paper price of gold cannot be successfully suppressed, because of the nature of fiat money. Also, no group of people have so much power to successfully suppress the paper price of gold, it is just fear that makes them seem so powerful. Fiat money will realise its full value of nothing and therefore true money will prosper. If you find this information useful, please forward it to friends or family so that I can continue to reach people that would not normally read such informative sites as this one. If you would like to subscribe to my newsletter please send me an email. My newsletter is free and I send it out whenever I have something to “say”. I do accept donations though, so that I can continue to research and write; email me for how. If deflation of asset prices continues, from here gold might (a big maybe) temporarily underperform the dollar but as deflation (of asset prices) increases gold will win this battle effortlessly in the end. Why? Because gold is money and it is a capital (real) claim on assets. The dollar is “parading” as money since it is a “debt claim” on tangible assets. The central banks and world leaders know that their system (world monetary system) cannot continue for much longer without gold giving that system credibility and confidence, as it has done for the dollar when it was created. They will therefore have to start using the gold word as a possible solution. The so called current "financial crisis" is testament to the fact that the world's current monetary system is about to end. Gold and Silver markets are so small that they are relatively easy to manipulate. That said it will take only 1 central bank to break ranks to push gold much much higher. A little connected to the post, but very important important. Some More Quant IntrospectionPlease read the comments in bold. A quant manager senses that the market is pricing in future inflation expecting the Tresury to monetize the deficit! That is what this very strange rally has been about is what the manager states. That is very interesting. As I absorb it, I think I disagree with his final analysis that the markets are rallying on a net inflation expectation. Perhaps they SHOULD be, but I just can't believe that they are. And if they are, what changed six weeks ago? Yet we are seeing the rally in the indexes, and in the financials, and in all kinds of junk. Just the kind of junk that CNBC likes to hype in order to herd the sheep. Perhaps he has it part right. Perhaps the quants are sensing that the Fed is monetizing the stock market index funds through black ops with Treasury's implicit (but not explicit) blessing. If this were the case, I wonder what the Chinese would do if they found out. And if this is the case, then I think it is highly unsustainable and unstable. It will be an exponentially accelerating process for the PPT unless they can truly convince the markets of a turnaround. And if they convince the markets of a monetization inflation first, then we should see gold and commodities explode. So I am looking for either a market implosion or a commodity explosion to signal something soon. I just can't believe this rally is based on market inflation expectation. I think Tyler Durden is really on to something with his focus on liquidity. I think this could really be what takes down these markets. Any time you have price discrepancies, liquidity dries up. When sellers want more than buyers are willing to pay, there is no liquidity. Just like in houses. And with manipulated prices, this is what you get. Either sellers won't sell because the price is manipulated too low, or buyers won't buy because the price is manipulated too high. At some point, liquidity will get so thin that panicked sellers will hit any bid, and down it comes. I think we see a violent snap back soon. By the way, how is our experiment coming along? While nothing is foolproof in this day and age of managed markets and official sector shenanigans, the timeless spread charts are telling us a story that even the best efforts (or worst efforts if you prefer) of the Western Central Bankers and their unending war on gold is drawing to a close in which their policies have all but ensured their defeat at the hands of the “barbarous relic”. Short term they can win many battles but long term they cannot prevail in the war against gold. If the Trade Deficit were paid by 26% of the world's mined precious metals, which is clearly an undersatement: $18,099/oz. If the US Gross Domestic Product were equal to 26% of the world's mined precious metals, an overstatement: $316,742/oz. If the Annual Budget of the USA were equal to 26% of the world's mined precious metals: $67,873/oz. If M3, money in US Banks, were equal to the official US gold held in Ft. Knox, etc. : $53,639/oz. This comparison might be useful. Here’s an article explaining somewhat matter-of-factly that China in the past month of March imported nearly 300,000 tonnes of refined copper. And it’s not like that qualifies as an inordinate amount of copper, given that it represents a mere 10% month-on-month increase in China’s copper import. And recognizing further that this represents the consumption of just one nation out of an entire world, obviously, there are millions of tonnes upon millions of tonnes of copper in play in the world in one way or another. And don’t even get me started on steel… the numbers are huge. To let this help you build some perspective about the relative scarcity of gold, according to the most reasonably calculated estimates, all of the gold that has ever been mined and refined in the entire history of the world amounts to an approximate 160,000 tonnes — that’s every last bit of it totaling just a mere half of the quantity of copper that China single-handedly absorbs in a single month. Bottom line: you should feel rightfully privileged if you’ve managed to get your own hands of some. And the more, the merrier. It’s the best economic scorekeeper the world has ever known, and it’s profound place among central bank’s reserve assets is assured for precisely that immutable, incorruptible, unequivocal certainty. 1. I have been reading, more than usual and from slightly different sources, recently and it seems as if I have gained something new. So, I sense a certain change of sentiment and, what is most important to you, I think certain Thoughts and Ideas are becoming clearer to me. 2. Subjectively, I cant say much objectively :D. I believe that whatever we do, think and feel is connected to the external world and our exchange with it. Has there been a collective change in recent weeks? Well, maybe if something new has been brought to light that all can see. The financial blogosphere is increasingly becoming more active and it is just a matter of when, not if, a well-informed blog from an insider breaks some news that transforms in a Black Swan. Other than that, I cant say much on my own. Maybe you can ask a question? BTW, I am on a short vacation until tuesday next week, so the response may come later than the usual 1-day delay. Bottom line: you should feel rightfully privileged if you’ve managed to get your own hands of some.It is still possible to get your hands on some in the Netherlands. Not a problem at all. What does "the little experiment" refer to? And what thoughts and ideas are becoming clearer? And finally: any tips on good resources, apart from the links you've posted here? Do you have a standard reading list? Such a shame, the great pioneers of contemporary inflation might have retired. It's a shame to see the guiding stars loose their glitters. Let's hope H. Ben can find the will and courage to complete his journey on his one. I wish him all the best luck. I read Sinclair, FOFOA, Zero Hedge (a little, otherwise the head hurts) and the goudforum that you probably know about. A new addition is the blog of Simon Johnson & friends Baseline Scenario which I still haven't started reading in earnest. These guys are, more-or-less, insiders and also receive intelligent comments. I also visit the Contrary Investor Cafe site, where they discuss Sinclair's company which I hold a few shares of. The "little experiment" was an attempt to observe a change in sentiment or subjective perception that coincides with Armstrong's peaks and valleys. So, not looking at numbers but the general ebb and flow of human Thought and economic activity that Armstrong claims to have orthogonalized in harmonic components. I volunteered to be the subject of the experiment but nothing conclusive came out. Of course, one data point a trend does not make, and there may be something that changed recently but it is not fathomable or observable at the moment. About Zimbabwe: Dr. Gono is gone? I would like your opinion on my thoughts about Credit expansion in my latest post. After the G20 meeting ended, Alek was feeling quite dejected. This was April 3. ...that is why I have doubts - sometimes. When I posted I was feeling that way. We all have days like that I suppose... Sometimes a man needs some reassurance." So I suggested, "Alek, I would not be surprised to see your confidence come back soon after the 19th. Let's revisit these thoughts on April 26th (a week later) and we can see if your feelings have changed for any reason. It could be the news of the week. Or the stock market. Or the price of gold. But it will be an interesting experiment I should think." And Alek replied, "I wholeheartedly agree to be the guinee pig." Regarding Zimbabwe, the Z$ is declared dead. I doubt they did this for the good of the people or the health of their economy. Gono and Mugabe have been facing diminishing returns every time they printed new money. My guess is that the seigniorage went negative. Gold doesn't have to be unavailable for you to feel privileged to have some. It is so rare, you should feel privileged that you can even afford some. There is only about 3/4 of an ounce in existence for every person on Earth. And maybe only a gram per person is available in the market. Maybe less. Because of its true (currently hidden) value, if you have more than an ounce, you should feel quite privileged IMO. On April 3, you seemed to have lost your confidence in your own view of the future. Well, at least this crisis allows us to feel privileged rather easy. And that's not the only bright side. I'm getting the impression that is woke up at least a couple of folks and got them thinking for themselves. Perhaps I did not have that effect on me, at least not concerning spelling..
And now that we got started, here's a link to make us feel even more privileged. Let me stretch your mind a bit by this video. It's rather lenghty, and it's a lecture by a muslim man, so beware. Personally I don't have much with religion and when I encounter it I prefer observing over judging. As this guy starts of rather harsh, you might need those "qualities" too, but from 10 minutes on an interesting story begins. And yes, you've guessed right: it's about gold and the middle east. You might just enjoy it. If you cannot enjoy it skip to approx. 18min. Mogambo Guru was excellent as always. Thanks Martijn. Are you a JMR (Junior Mogambo Ranger)? Haha. I'm still discovering the wonderful world of money and value, so no ranging for me yet. As for the video I posted: the real fun starts at 29 minutes sharp, should I still have been unable to get you to watch. I ment 39 minutes. Well, watch it anyway..
And, although I would not want to spoil the plot, the video elucidates and interesting aspect of money not mentioned often: power. at 53 minutes it is also interesting. Why is gold forbidden al legal tender? Thank you. That video was informative and enlightening. I agree, it gets good at about 39 minutes in. I've seen a little bit of it before. I think Ivo Cerckel linked to it a while ago. I note that the speech in the video was given in 2007. The three major religions all share the doctrine that you should not loan money for interest... usury. In Islam it is called Riba. However, there is the caveat that you may do so to your enemies, just not to your own people. An interesting concept in light of our global monetary system. This doctrine is wise. But one of the problems with fiat currencies is that if usury was forbidden, then no one would loan any money. Fiat currencies always fall in value. So why would you give someone else the use of your money if what was later returned to you had lost purchasing power? This is not a justification for usury, but a condemnation of fiat currencies. You might find this link of interest. It has a history of usury prohibition, including various religions. It also has 2009 update for "the credit crunch". You are however correct about the sinking of fiat currencies requiring extra compensation. It's a wicked system indeed. Profit and loss sharing, which is what you are referring to as Islamic finance, is different than usury in the same way that stocks are different than bonds, or preferred shares are different than common shares. This is basically investing for profit, not loaning for profit. There is nothing wrong with that in any religion. But it is totally different than the issue of interest or usury. "The action in the SP futures market has been particularly heavy handed and blatant since the heads of the money center banks met with the Community-Organizer-in-Chief at the White House. This market is being shoved around like a gaijin granny on the Tokyo subway in rush hour. To our minds, it is just as likely that we are being set up for a terrific leg down. In our experience the big dogs tend to dominate certain portions of the short side at the apogee of a stock market pump. Our target for a failure point on the SP June futures is about 858-864. This market is utterly overbought according to the McClellan Summation Index. Let's see if they can keep it floating up. This does not look like a sustained ramp however, but the pump that sets up the dump. At some point the equity market will start moving higher and keep going, to fantastic levels perhaps, if a serious inflation sets in. The stock markets in the Weimar Republic were spectacular, if one ignored the reality behind the appearance. We think it is far too early in the game for this, but are keeping an open mind to all possibilities. The best probability is that we are seeing a pump and dump, in order to provide some income to the beleaguered banks through their proprietary trading desks. We have not been tracking it, but one has to wonder if Goldman Sachs has priced and sold its large secondary equity offering designed to pay back their TARP funds. The markets often miraculously levitate in sympathetic conjunction with key IPOs and equity tranches..."
Arguments against the gold standard are perfectly compatible with FreeGold. As long as people have a worthy vessel in which to save, they will not begrudge their government's monetary folly. At this moment in time and space, the price of oil in US$ terms is about to roar! It will crush the Pacific Rim and South America. It will drive the US$ sky high in terms of other major currencies but the dollar will collapse in terms of gold! Short term interest rates in the USA will be driven thru the floor much the way they have been in Japan from the early 90s. This will be done to combat an imploding equity market. Long government bonds will almost stop trading as their yield soars from the oil price fears of "inflation"! Because of today's "new digital paper markets" this entire act will be played out in 30 days or less. Yes, you are right! During that time we will have inflation and deflation. I was still often wondering how many people in a trillion did snap the message of ANOTHER. What does your counter of this blog says of unique visitors? Some treasure posts in the comments lately, keep up the good work. Unique visitors since this blog started in August is 16,146. Unique visitors this past month is 6,639. Also a high number of visitors that come back more than once. Found this morning 23-04-09 09:30 "Desperation"
I was talking about it before, and the Arab guy in the movie from yesterday did also (has have many others in the past): electronic currency. I thought the hyperlink would work, but you'll have to just copy past it..
What time is it where you are? I will check out your link now. But first I came across this Thought. When you buy bonds in the bond market, you become a lender, guilty of usury. When you buy stocks in the stock market, you are an investor, a participant in profits and losses in accordance with Islamic Banking. The U.S. Treasury asked Chrysler LLC’s secured lenders to reduce their debt to $1.5 billion from $6.9 billion in exchange for a 5 percent equity stake in the automaker, a person familiar with the negotiations said. The offer followed by a day a proposal by the lenders to reduce the debt to about $4.5 billion and take 40 percent equity. The person describing the Treasury offer asked not to be identified discussing the private talks. So, when push comes to shove, it seems that the answer is the forced conversion from Riba into Islamic Banking rules. PS. I found this Thought through Karl Denninger, who wrote a post about it. Karl is a firm believer in fiat currencies and usury by the way. This is similar to local currencies used in various communities, only on a larger scale. It is a way for local participants to bypass the dollar for their local trades, similar to barter which is mentioned in the article. Chavez has dreams of this currency growing into something much larger than this. However, does he have the credibility to make it so? In order to back a currency with oil, you need to make it freely convertible to your oil. Just like the US Treasury once did with gold. This will ultimately be a problem for Chavez in the same way the gold standard became a problem for Nixon. I don't believe that this group of allies has the credibility to issue a currency that others will want. And being a purely digital currency makes it even more suspect. As soon as the issuer can get someone else to trust this currency, he can take advantage of that sucker with the click of a mouse. This is where credibility becomes of utmost importance. But the most interesting point of this article is the growing global focus on currencies. This train of thought ultimately leads to Freegold in one way or another. Freegold naturally creates a "supreme court of credibility". As more and more currencies like this Sucre are created, the need for an emergent Freegold system will become overwhelming. Especially with the demise of the dollar. Here is how to make a hyperlink on Blogger. It is impossible to show you by typing it out because of the html code, so I made a jpeg. Preview your comment to see if it works. I'll get back on those questions. Seen this link about money on Jim Sinclair? If you are looking at how many people out of 1 billion have visited this blog, the number is 2385. There are 6.77 billion people in the world. So divide 16,146 by 6.77. That site hartgeld.com sends the most visitors of any when they link to this blog. More than dollarcollapse or economicrot. Remember talking about China's gold recently? The article on the critique of usury is quite interesting to say the least. Personally, I do not believe usury in itself to be unfair, but rather the centralized determination of interest rates. I believe that in a truly free money market interest rates will be adapted to reflect market characteristics and match the inherent risk of money lending in that market. In a truly free market the economy will balance itself out by contracting on an overexpansion. However, as governments do not allow for those natural forces of balance, interest rates are set to "keep the economy going", which in the long run can only lead to a greater collapse. The centralized interest rate policy is one of the greatest diseases in our society. Also remarkable in that paper was: “This loss of resilience is what distinguishes the current situation from the bank crashes of the 1920s. Back then, society and especially its food production was less industrialised. People lived closer to the land. Most essential services such as food production were local production for local consumption. But today, essential chains of supply are long, often global, and therefore subject to international market and financial vagaries. A glimpse of the consequences of such dependency can be seen from what happened in Britain in September 2000 when fuel tanker drivers went on strike. Within five days, panic buying emptied some supermarket shelves and the media carried sporadic reports of fighting at the checkouts.” I missed that when it happened, but it clearly indicates that our food supply truly is more fragile than most of us assume. A quote that stands out in the Fekete link is “ To a large extent, Protestantism has triumphed over the Catholic Church in the 16th century thanks to its relaxed view of usury.” As the Arab guy in the movie remarked the other day, finance, religion and politics truly have a lot in common, and in this respect money – or monetary policy – can indeed be power. Finally I believe usury in general is a principal-agent problem. One lends his money to someone else, and that other person is than in charge of the capital. As both might have a different interest in how that capital is used, they will need to find a way to distribute risk and return in such a way as to optimally serve or combine their goals. I also find the definition between lending and investing a funny one, as in my opinion they basically are the same. The only difference is the solution to the principal-agent problem; the distribution of risk and reward varies. However, if I lend someone money I expose myself to the risk of not being paid back, but as long as I do get repaid I will earn a capped surplus, while if I invest I face the same risks, only is my return not capped. In response to the Chrysler story: I will not go into the numbers, but again I generally believe that lending and investing are two different approaches to the same principal-agent problem of having someone else "play" with your money. One should however be aware that there is quite a difference between lending and investing in the sharing of risk and return I mentioned. The ideal scenario for a lender is when a borrower is not able to return the principal, but can pay the interest. In that case the lender is guaranteed a steady income over time with a relatively small investment (the principal), an example of which is the national debt where the state is the borrower unable to return the principal. Personally I find the battle of usury one for the purists. I agree with you and Hommel that it should not be banned, mainly because I'm a pragmatist. In a Freegold world you should have a choice to save in gold, and be assured that you will survive any fiat inflation, or to save by lending your money to someone else, with the hope of a profit. But I can understand why usury was banned in the past. In the extreme, it is predatory on the weak. And in the norm, it is insidious and it can lead to some of the very problems we have today. But in the modern world, I don't think there is a practical way around it. From the lenders or creditors perspective, it is the most conservative thing to do with money. To take a fixed income. But from the borrowers perspective it carries the danger of losing your collateral. However, when the US dollar finally collapses, it will be those lenders and creditors who are wiped out. Their notes will suddenly be like used tissue paper. Meanwhile, investors will still own shares in real things. Remember talking about China's gold recently? Yes! Someone pointed me to that last night and I made that same comment here. You will like this new one from Jim Willie. Obviously he wrote it yesterday before the news about China's gold came out, but it's all about China and certainly supported by that news. Ya don’t geet the point ! Who cares where it came from. What's your opion on Ron Paul? And yes, once again I have managed to think faster than I type. Where I typed opion I was thinking opinion. I like Ron Paul a lot. I do not agree 100% with him, but it is certainly a very high percentage. I did not vote for him in the primary. But that does not mean I wouldn't if given the choice again. Well, I still believe that in a free market people would see that. And hence it would not matter. However, as the government nowaday sets interest rates, usury somehow seems very normal. I still believe that people would easily see the problems with usury in a free market. Basically I do believe the "discussion" on usury to be of relevance. Usury is connected to inflation, and as I said before the government sets interest rates. What is especially remarkable on usury is that is has been forbidden by so many religions, while all those religion would let me free to sell a slice of bread for an once of gold as nobody would make that deal. Is usury really something people don't understand and should be protected against? You must remember that your perspective on this is very modern. Before 1971 interest rates remained steady and there was no need to set the rates. And in a strictly gold currency system (not a gold standard) interest rates are negligible or nonexistent. It is only in a purely fiat system, like 1971 to present, that these age-old words of wisdom become so confusing and seemingly irrelevant. But are they really irrelevant? Consider this, the term "usury" changed its meaning in the last 100 years. It used to mean "interest". Now it means "excessive interest". All usury laws today have to do with an upper limit on interest rates. Age-old usury laws prohibited interest entirely. When usury laws were repealed in 1981, they were simply making way for Volcker's 18% official interest rate, which ran credit card rates up to 40% and higher. These rates were previously called "loan sharking" and were completely illegal. Luke 19:23 (King James Version): "23Wherefore then gavest not thou my money into the bank, that at my coming I might have required mine own with usury?" Luke 19:23 (New International Version): "23Why then didn't you put my money on deposit, so that when I came back, I could have collected it with interest?'" Hmmmm... so in 1983 they could no longer use the term "usury" in its original meaning. In 1983 usury meant "excessive interest", and that wouldn't make sense. So they had to change the word to "interest". Also, remember usury had a negative connotation at the time of Jesus. Now it is considered to be a good thing (earning interest). Do you think this changes the meaning in the Bible? Should we forbid usury, shouldn't we all sheare? We must all work with what we've got, and that includes idiot politicians, greedy bankers, fiat currencies and an imperfect world. And what we have right now includes usury de jure and de facto (by law and by fact or in practice). But I think it is helpful to recognize the history of usury. This can help you stay out of trouble. Freegold is the system that will work "within the system". In other words, it is a way for things to work out well, even with the mess we have right now. When it comes, it will be good for all people, not just those who prepared ahead of time. Usury will be stigmatized and shunned for quite a while, perhaps for a generation. The two sides of usury are the debtors and the creditors. All the debt in the world right now will end up killing many individuals, companies, and governments. It is already happening. And then the currency collapse of the dollar will wipe out the creditors. So in the aftermath, no one will want to be a debtor or a creditor, at least not for a while. During that time it will be all about "pay as you go", or "pay in full", or "paid in full". And what is the best way to be "paid in full"? It is gold. Because it is the extinguisher of debt. Fiat currencies only transfer debt, but gold extinguishes it. If I pay you in US Dollars, my debt to you has been transferred to the US Taxpayer via the Treasury, via the Fed who issues those dollars. But if I pay you in gold, my debt to you is extinguished. So while we will still have fiat currencies in the aftermath, they will be shunned when it comes to final trade settlement, or settlement of trade imbalances, or for savings. No one will want to be a creditor or a debtor. They will realize the blessings of being both debt free and "paid in full", at least for a while. Hi, America, it’s me, China. As you know, you owe me a lot of money. A LOT of money. I’m not only wondering if you are going to pay me but if in fact, you can. You see, you’ve given me every manner of I.O.U.’s that are frankly, paper. All those dollars I have? Well, I have a nasty feeling about them, too. They are also made of paper. Today, I decided to let you and everyone else know how much I like Gold. I like it so much that I’m making it my business to get more of it. Can I have yours? I would prefer it to any more of your stupid paper valued and based on accounting done by insane people. Can't we find a spokesman with a razor?